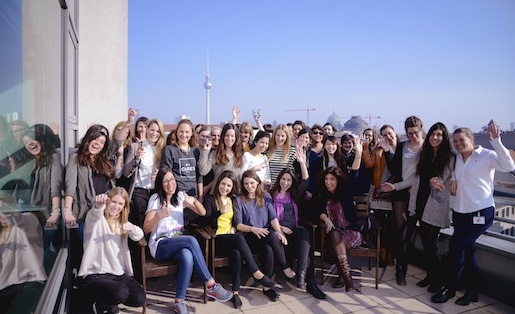 Actually, the percentage of women working at Rocket Internet is not so bad – 40% of its staff is female. However, in leadership roles, women are still clearly underrepresented. Only 15% of the leadership roles at Rocket are occupied by women and, of all the founders, only 10% are women. Why? Vera Termuehlen should know the answer. She has been the Head of Human Resources at the Berlin-based incubator for over two years now. In an interview, she explained why Rocket would like to hire more women and why it is so difficult to find suitable women candidates. Why is the percentage of women in management positions at Rocket Internet so low? Out of interest, I asked the business schools whom we work together with. The percentage of women at these schools is only around 20%. Where should we get the women from? Another consideration is that over 50% of our staff at Rocket works in IT – and that is actually not the branch that is known for having the highest proportion of women. Women seem to prefer more stable structures in comparison to men. The women whom we invite for interviews often see the overall economic development and growth potential of the market. They are less concerned about having a great adventure. What is important to men? Power and money is, as a rule, more important for men than for women. Men ask more of the questions like: What can I achieve here? Can I take on a leadership position right away? Or, how high is my salary? Women have different interests and questions. The desire to be able to identify with the product is a lot higher. And also working together with a good team is a big decision factor. At the moment, are you looking for women specifically in order to raise your quota? We definitely want to hire more women. When there is an application from a woman, we look at it very closely. We would like to raise the quota of women within the company, because we are convinced that diverse teams will lead to better overall results. That is why we are taking part in Girls Day this year. We would like to introduce 14-year-old girls to the topics of company founding, e-commerce, and IT. If you are looking specifically for women, is that not a disadvantage for men? I don’t think so. It is not just about hiring more women. We want to find the best people and among the best are also women. Are you getting more applications from women than before? Yes, there are always more self-confident women applying who are looking to start their careers in the Internet industry. University graduates usually start with Rocket as a Global Venture Developer (GVD). The GVD programme is laid out over a year. During this year, candidates are trained to eventually take a co-founding position or enter one of our bigger companies in a middle to upper management position. What qualities must the candidates bring? It goes the same for men as it does for women: if someone would like to work for us, they need to be really smart and not afraid to take on responsibility and make decisions. They should also be result-oriented. Femininity cannot be the only thing that scores with us – candidates need to bring potential and skills. What character traits do women have as opposed to men? Women are not as self-confident and also don’t ask as many questions. For example, women don’t go their boss and ask for a raise, because they think deserve it – men do that naturally. Women tend to think that they will get a raise if they work well, but not many companies would give a raise like that. Sometimes you just have to ask for it. Basically, women don’t often fight for themselves and have a certain inhibition to do certain things. Do you think teams with both men and women work better? I believe in diverse teams. Of course, a team has a much different dynamic when both males and females are represented, because both bring in different perspectives. Rocket is represented all over the world. Has a women ever complained that she was not taken seriously in a management position? For many women, it is important that a company supports them during maternity leave. What does Rocket do for women during this time? Five of our employees have had babies in the last three months – and, of course, we are supportive. That is why we have a cooperation with a kindergarten. We try to provide a smooth start back into the job – especially when going back full-time right at the beginning is not planned.